Good old-fashioned antenna raising party! 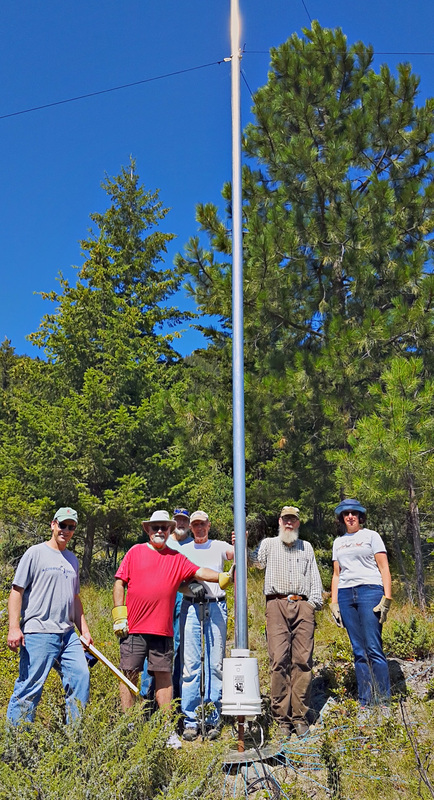 On Saturday, July 14, the KARC crew got together to help club member Charles (Chuck) Hays, VE7PJR, install his "home-brewed" 43 foot vertical HF antenna. 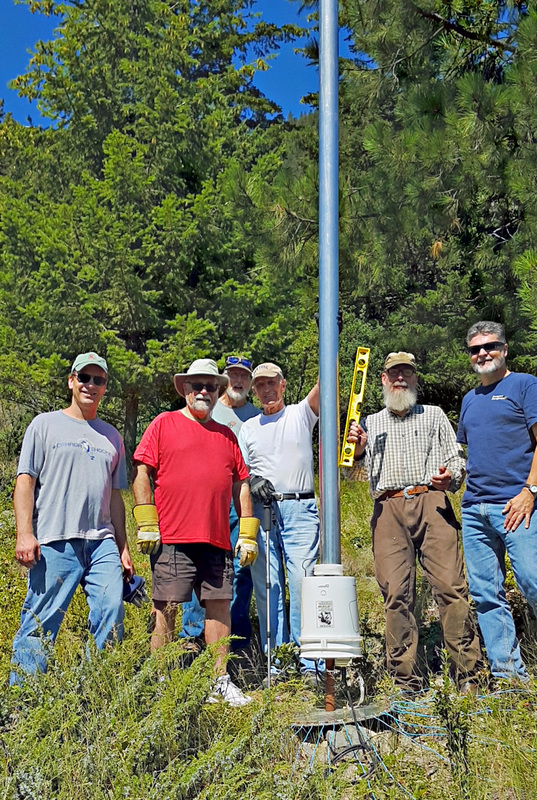 Chuck built the antenna from aluminum irrigation pipe, and constructed his own mount and base insulator. 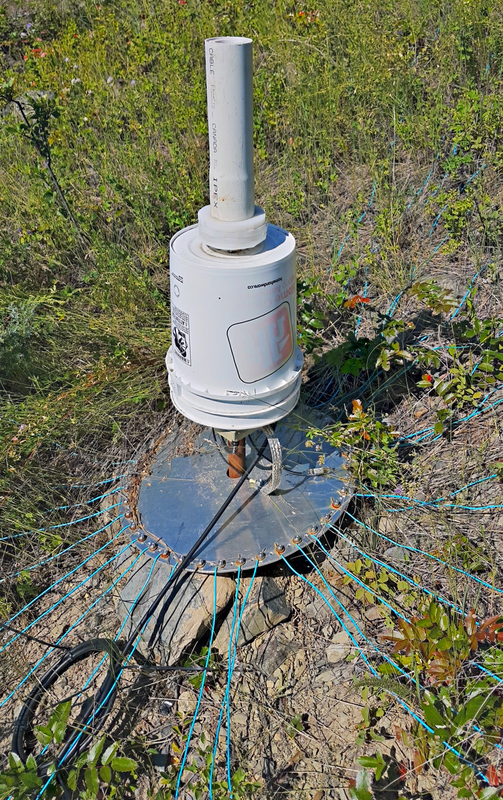 He is using an LDG RT-600 remote tuner and has installed 4,000 feet of copper ground radials (feel free to count them in the photo below!). 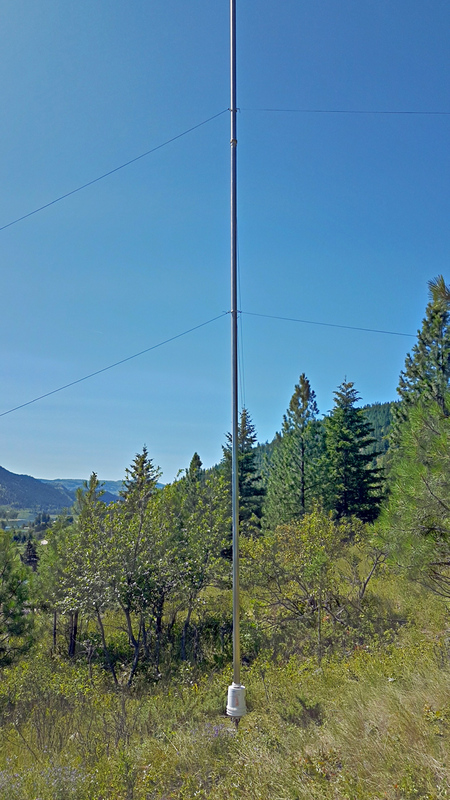 The new antenna should give Chuck an excellent signal, and be a great companion to his HF receiving loop. I can only imagine the bandwidth you get with a radiator that big! Helping with the installation was Adam (VA7AQD), Dianne, Dave (VE7LTW), Vern (VE7VGO), Myles (VE7FSR) and Rolf. 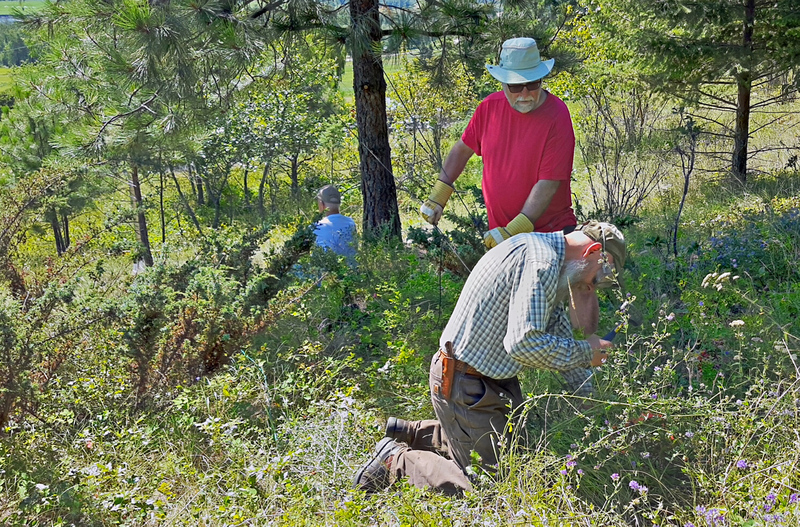 Chuck had done all the hard work ahead of time (laying out the radials must have been fun on that hillside slope!) and the crew just had to tie off the guy ropes and lift the antenna (aka pipe) onto the base insulator. The process went well and the crew was soon back to Chuck's kitchen for welcome cookies, burgers, and cold drinks. Have a look below at some more photos from the event.